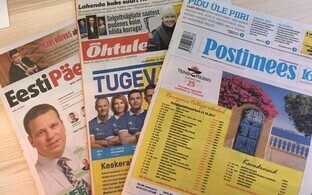 Daily Päevaleht summed up the general feeling about the coalition agreement between the Centre Party, the Conservative People's Party of Estonia (EKRE) and Isamaa: while it remains vague on all the issues that matter, it promotes specific ideas only where its signatories' egos and cranks are concerned and is otherwise entirely devoid of new ideas. Meanwhile a range of policies previously taken for granted, from EU relations to social cohesion and equal treatment, are seen as immediately threatened if this government should be confirmed. Daily Eesti Päevaleht pointed out in its Monday editorial (link in Estonian) that although the agreement between Centre, EKRE and Isamaa does mention making Estonia a good place to live and also a place for those who left to return to, there is indeed very little specificity. A concession made to EKRE's stance on family values, namely the promise to put a constitutional amendment defining what a family is before the people in 2021, is the only instance where the three parties are very clear about what their plans are regarding the social aspect of life in this country. And though marriage and family may be of ideological importance to some, the majority of parents will be waiting for specifics concerning the state's plan to help them make ends meet—and that is where the coalition agreement has very little to offer. There are no specific measures, no deadlines, no sums stated anywhere, the paper writes. 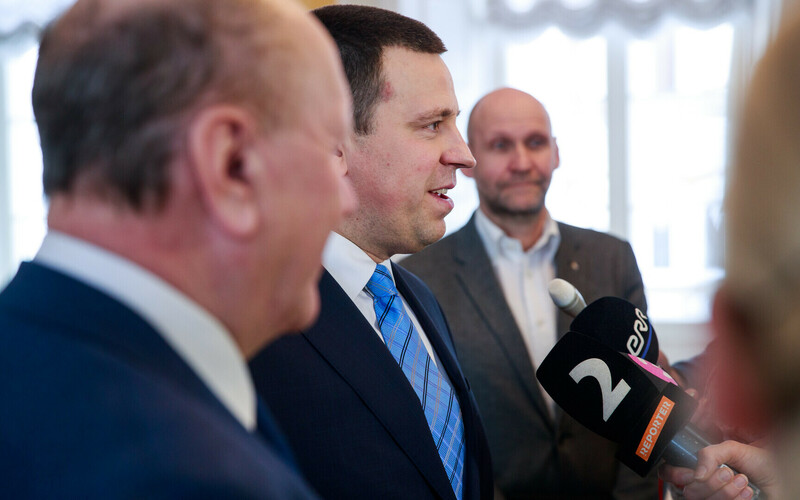 While the agreement promises a new state institution to make it easier for Estonians living abroad to move back, it also states in no unclear terms that dual citizenship is not about to be introduced. This, the paper suggests, makes the preceding announcement rather pointless, as the question of dual citizenship is where families living abroad decide whether or not they would feel welcome here. The paper's judgment, then, is devastating: the coalition agreement is specific only where political ego or a party's idée fixe is concerned, while it remains vague on virtually every issue of importance to Estonian society on the whole. 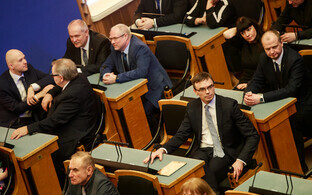 According to Raimond Kaljulaid (independent), who just days ago left the Centre Party in protest, EKRE and Isamaa are getting a lot, while Centre indeed is getting very little out of the tripartite coalition agreement. EKRE will get its reactionary definition of what a family is written into the Constitution; Isamaa can dismantle the second pillar of the pension system, just like the people funding the party demand it; Centre's pension hike isn't happening; confusion regarding Estonia's Russian schools is perpetuated, and the coherent and integrated society demoted to a few empty phrases, Mr Kaljulaid wrote (link in Estonian). 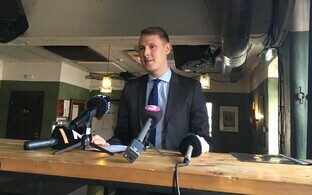 While the renovation of Tallinn's Linnahall concert and convention centre was part of the agreement between the partners in the outgoing coalition, it isn't mentioned in the new one at all—perhaps, as Mr Kaljulaid suggests, that is due to EKRE's ideas in the matter: the party previously called the building an "abomination". Some points in the agreement meanwhile aren't unreasonable, for example its approach to the budget as well as the long overdue abolition of the outdoor advertising ban leading up to elections. 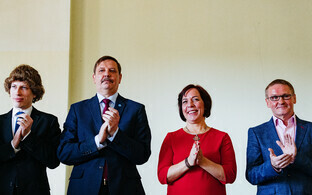 There is also some talk of moving towards a greener economy, Mr Kaljulaid wrote. Outgoing Minister of Health and Labour Riina Sikkut (SDE) wrote on Saturday (link in Estonian) that it is "a pity" that the Centre-EKRE-Isamaa coalition agreement doesn't so much as mention a fairer distribution of care, segregation in education and the labour market, the gender pay gap and the share of women in managerial positions. If this government is voted in, they will rearrange the social affairs, health and labour divisions of the administration and bring them together in the competency of a single minister. Such a step, away from the current division into health and labour on one side and social protection on the other, demotes the whole sector and does not bode well for the future of the issues concerned, Ms Sikkut said. Equal rights and treatment and efforts against discrimination take long-term work, and the state has a role to play here as well, leading by example, the minister added. Writing a referendum on a definition of family into the coalition—with a specific date, no less!—and the deliberate exclusion of equal treatment from it suggests that not only will there be less effort, but that what has been achieved so far is in acute danger of being lost. In the health care sector, not a single new idea or initiative is mentioned. 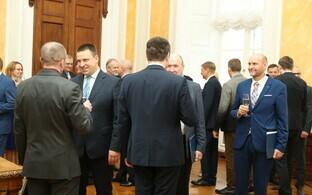 What is in the agreement by and large is already in the works, Ms Sikkut said. Child benefits, family benefits, nursery school fees and so on, all of which are matters debated regularly and of critical importance to families, aren't mentioned at all. Ms Sikkut also pointed out that outgoing Minister of Social Protection Kaia Iva (Isamaa), an experienced magistrate very familiar with the sector, will not be part of a potential Centre-EKRE-Isamaa government. Editor-in-chief of foreign policy magazine Diplomaatia, Erkki Bahovski, wrote on Saturday in an opinion piece for daily Postimees (link in Estonian) that a drastic change in Estonia's foreign policy seems unlikely. As if to assuage the foreign embassies, the three parties wrote into their agreement that their government would promote "a caring and tolerant society, the members of which can feel safe and included" and that they "resolutely condemn hatred expressed against minorities, antisemitism" and the kind of rhetoric that tends to undermine society. 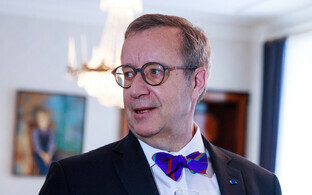 Where Mr Bahovski does see potential for some change is in Estonia's relations with the EU. So far, Estonia had always backed the EU as a union of states; from here on in, the perspective may shift to that of a member state and away from the union as a whole. This, according to Mr Bahovski, may mean that some proposals reaching the member states from Brussels won't pass quite as swiftly and smoothly as they have in the past. The biggest change to the current set-up is likely to come from a slight adjustment of Estonia's foreign policy priorities to a better inclusion of trade promotion: the new coalition wants to include businesses more and increase its number of economic advisors abroad. Concerning the proposed direct-democratic instruments of a popular initiative and referendum, the fact that international agreements won't be made subject to this novelty is reassuring, Mr Bahovski wrote. Keit Pentus-Rosimannus (Reform), former minister of the environment as well as foreign affairs, commented on Saturday (link in Estonian) that the agreement between Centre, EKRE and Isamaa shows no readiness to tackle the important issues facing Estonia in the future. An ageing population and shrinking labour force is putting the current system in question, in which rising health care costs have to be funded through social tax, Ms Pentus-Rosimannus wrote. "I don't see any principal reform in the agreement that would assure the financing of the social and health care sectors 20 or 50 years from now," she added. Neither does the agreement address any of the urgent climate-related issues. In a time where the whole world is making efforts to turn towards more environmentally-friendly models, Centre, EKRE and Isamaa seem to be sailing on without a care in the world. 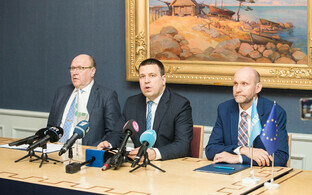 To Mihkel Kangur of Richness of Life, the fact that the Centre-EKRE-Isamaa agreement doesn't kill off the Rail Baltica project is already proof enough that EKRE is set to become "a party like any other" worried mostly about money, position and power. Pitting his own group against the "state parties" that had "successfully killed off" any debate regarding the railway project, Mr Kangur said in an opinion piece published by ERR on Saturday (link in Estonian) that such a government would automatically consent to bringing in "thousands of foreign workers and their families." 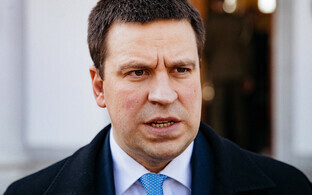 Mr Kangur added that the party has in fact disappointed any of its voters who were hoping for more radical change. Yes, anti-abortion legislation and the immigration quota would be dragged through the media in the future as well, but the voters who actually believed in EKRE's campaign promises have already been cheated.